A friend of mine (yes I do have some) posted the following on Facebook. I hope it blesses you as much as it did me. Called me. You said, “Our Father which art in heaven.” Here I am. What’s on your mind? It means honoured, holy, wonderful. and what you watch on TV? Good. Now we’re getting somewhere. We’ll work together, you and I. Some victories can be truly won. I’m proud of you. You could cut out the bread. It would help you lose weight. Praying is a dangerous thing. You could wind up changed, you know. That’s what I’m trying to get across to you. Keep praying. I’m interested in the next part of your prayer. But your prayer? 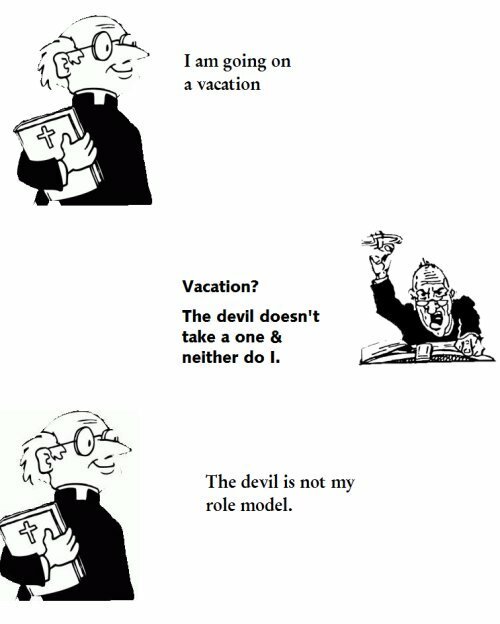 What about your prayer? Well, at least you’re honest. But it’s not much fun carrying that load of bitterness inside you, is it? You won’t feel any better. You’ll feel worse. Revenge isn’t sweet. Think of how unhappy you already are. But, I can change all that. Forgive Ann. Then you’ll sense better My forgiveness for you. Then the hate and sin will be Ann’s problem and not yours. You will have settled your heart. “Oh, you’re right. You always are. And, more than I want to get revenge against Ann, I want to be right with you. But, (Pause) … (Sigh) … All right. I forgive her. Help her to find the right road in life, Lord. She’s bound to be awfully miserable now that I think about it. Anybody who goes around doing the things she does to others has to be out of it. Someway, somehow, show her the right way. You’re not through with your prayers. Go on. perhaps you should rethink the value of those friendships. Another thing, your neighbours and friends shouldn’t be your standard for “keeping up.” And please don’t use me as an escape hatch. Sure you do. You’ve done it a lot of times. You get caught in a bad situation. You get in trouble and then you come running to me: “Lord, help me out of this mess, and I promise you I’ll never do it again.” You remember some of those bargains you tried to make with me? Which bargain are you remembering? I protected you, but you didn’t keep your promise, did you? Do you know what would bring me glory? What would really make me happy? Yes. The thing that would bring me glory is to have people like you truly love Me. And I see that happening between us. Now that some of these old sins are exposed and out of the way, there is no telling what we can do together. Posted in Bible, Christian, Christianity, Church, Faith, Funny and tagged Bible, Christian, Christian House Sitters, Funny, God. Bookmark the permalink. It is Easter. 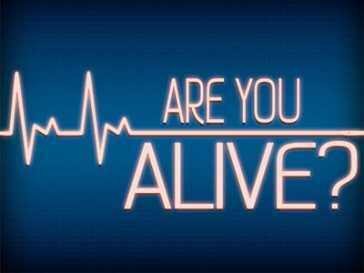 But are you alive? Today is Good Friday and we remember that Jesus died in our place. Soon it will be Easter Sunday and we will rejoice that He is alive. 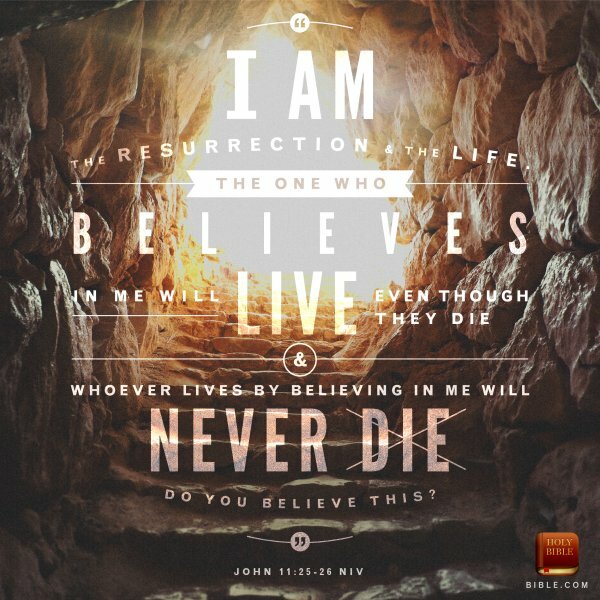 But ……….Are you alive in Christ. Here are 7 very simple tests used to establish if something is actually alive. 1. GROWTH. Living beings grow. 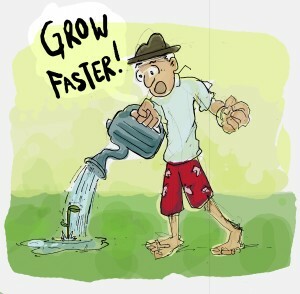 This is an irreversible growth not like a crystal. Are you growing and maturing spiritually? 2. MOVEMENT: Living beings move. The ability to move as a result of the expenditure on energy. Animals move to search for food, Plants move towards or away from stimuli such as the sun. Are you moving closer to God? Not content with present spiritual state seeking to improve. Phil 3:12-14 Not that I have already obtained it or have already become perfect, but I press on so that I may lay hold of that for which also I was laid hold of by Christ Jesus. Brethren, I do not regard myself as having laid hold of it yet; but one thing I do: forgetting what lies behind and reaching forward to what lies ahead, I press on toward the goal for the prize of the upward call of God in Christ Jesus. 3. SENSITIVE: All living things are sensitive to changes in their environment and are therefore able to react to these changes. So for example as the sun moves across the sky the sunflower follows its movement. As Christians we need to be sensitive to God’s voice so that we can respond to His directions. John 10;4-5 When he has brought out all his own, he goes on ahead of them, and his sheep follow him because they know his voice. But they will never follow a stranger; in fact, they will run away from him because they do not recognize a stranger’s voice. 4. FEED: All life forms seek nutrition. Christians we need to not only study the bible but apply it on a daily basis. 5. RESPIRE: No not just breathing. In Biological terms this refers to the release of energy which takes place in all life forms. As a Christian our “source of energy” is God, not ourselves. We are energised by the power of God in our lives. It is not us but Him. Eph 3:16 I pray that …He may strengthen you with power through His Spirit in your inner being. 7. REPRODUCE: Living beings naturally reproduce. 2 Cor 5:20 We are Christ’s ambassadors, as though God were making His appeal through us, we implore you on Christ’s behalf: be reconciled to God. Are you experiencing the LIFE Jesus rose to give you? If you know you are a Christian but you are not experiencing the Full Life which Jesus died and rose again to give you then today Easter is a perfect time to surrender all to His control. If you have never done so before you can turn yourself over to Him. Exchanging your existence for real LIFE. Posted in Bible, Christian, Faith and tagged Bible, Christian, Christian House Sitters, Easter, Living, Religion and Spirituality, Religious. Bookmark the permalink. Patience Needed. But please hurry. I do know about being patient. I know about it but that does not mean that I find it easy. Oh no! I am by nature impatient. I do not enjoy waiting around for things. Yes, I am aware that this is nothing to be proud of or to boast about. I remember the patience of Abraham, Joseph, Job and even Simeon in the New Testament. But once again knowing does not seem enough at times. Does that mean I am lacking in faith? I hope not but in all honesty I guess if my faith was stronger I would not become impatient but the truth is that I do trust God. I do believe He is in control and I actually believe His timing is perfect but I still get impatient. We are waiting to hear from a lawyer who is looking into how badly Marilyn was treated when she was in Worthing Hospital a few years ago. We were promised that the findings would be available no later than the 18th of August. As that date approached we were given a bunch of excuses and asked to wait another month. We agreed. As the next deadline approached we were told it would be the end of September. Again we agreed and guess what. Come the beginning of October we were still waiting. I contacted the lawyer who thanked me for our patience (if he only knew) and said we would hear within a week. So come Monday I contacted him again. He said he had everything ready and that he was posting it to us. Well it is now Thursday and nothing has arrived. I have emailed him and he is not even replying. I know we will hear and I do believe God will bring a just result to this enquiry but my patience is wearing thin. As you know we also run Christian House Sitters. Until August we were almost flooded with houses, sitters and enquiries. Great! But for the past month things have been deadly quiet. In all the years this ministry has existed I have never known it so quiet. 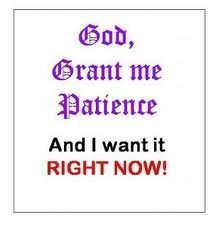 Oh I know it will soon buck up again and there will be at least the normal flow of new houses, new sitters, etc but at the moment my patience is again being tested. So many people all over the world count on us to enable them to have a rent free vacation. But we are naturally dependent on others making their homes available while they are on their vacation. The children at the home we run in Kenya depend on this ministry for their food, clothing, accommodation, schooling and everything. Please pray for us that the lawyers will do the right thing and do it soon. 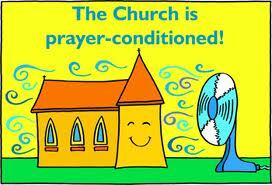 Pray also for Christian House Sitters. Finally please pray for me. NOTE: The 2 pictures used were obtained from email I received. I do not know who created them. Posted in Christian, Faith, Holiday, House Sitting, Patience, stress, Vacation and tagged Bible, Christian, Christian House Sitters, Christianity, God, holiday, Housesitting, Patience, rent free, Vacation. Bookmark the permalink. I was sent the above a few days ago and it appealed to my rather odd sence of humour. Sadly it contains more than a grain of truth. I have met many Christians who feel that they need to work 7 days a week and 365 days a year. They have the very best intentions. They want to serve God and do not want to waste time BUT I have to ask myself if, in the long run, they are actually very effective or indeed if they are really living in God’s will. God clearly told us that He rested on the 7th day. I have real difficulty in thinking that God was tired. He rested and by doing that showed that we too need to take a day each week to re-charge our batteries. Psychological and medical research has clearly demonstrated that people who do not take a regular vacation are prone to more illnesses and are less efficient at work. If you are interested here are links to just two such articles. One reason many people do not take a vacation is the cost. But remember Christian House Sitters can help make a dramatic reduction in the cost of your next vacation. We can help you find rent-free accommodation all over the world and we can arrange, if needed, for reliable Christians to look after your home and your pets while you are away again with no cost to you. Posted in Christian, Holiday, pets, stress, Vacation and tagged Bible, Christian, Christian House Sitters, Christianity, Funny, God, holiday, House sitting, Jesus, Pets, religion & spirituality, Vacation. Bookmark the permalink.